I'm a swede myself and avicii was the reason is find a passion and started producing music myself! His music bought specks of joy and hope into my life. I always felt uplifted by the songs he created. I hope nobody forgets him. Tim <3 För varje dag som går sen din död känns allt så tomt inom mig. Jag saknar den musiken som du gjorde, som skapade glädje under dom dåligaste dagarna. Att du blev min mest lyssnade artist på spotify är inget oväntat. Nästan varje dag i somras lyssnade jag på dina album. Jag saknar dig! otroligt mycket. Jag hoppas du har det bra! Jag vill inte inse att det som har hänt har hänt bara... In loving memory of Avicii Love from Jowa! He was such a sweet pure hearted person. Avicii got me into EDM with Wake Me Up and Levels, I recently started getting back into him in the last 2 years and I was excited to hear what the future held for him. I was absolutely shocked when I found out he passed. The world will never forget the impact he had on music, and I will never forget the impact he made on me. Your music has made us feel the music in many ways. We will remember your music forever. THANKS AVICII. THANK YOU TIM. I am a 43 yr old mom of a little boy. I also love electronica and have for 20+ years. I am watching the Avicii documentary right now from my home in San Diego. I watch as a mom first and foremost, and all I keep saying is "fk the money." What a strong, deep soul Tim was. He has paved the way for others to be open about their mental health and reminds us to keep that as our first priority. His enchanting music and soul lives forever. To his mother: you raised a beautiful baby boy. you changed my life. you inspired me to start writing music. you helped shape who i've become. rest in peace. Intemporal y único ... un mito de la música. I don’t know much about his music but I just watched the documentary and it is hardbreaking to see a boy so talented and sensitive, but so lonely and not understood. I feel sad for his family. Wishing them strenght. Tu música es inolvidable y dejará huellas en la historia, gracias x tus canciones que motivaron a muchos especialmente a mi. Lástima que la vida no te haya permitido continuar tu viaje por la fama, pues tenías un largo camino por recorrer. Tu imagen no está, pero tu música se queda en los corazones de miles de personas que siempre te recordaremos. Gracias x haber existido!!! There is not a day that goes by where i don't think about you and listen to your music. My dream was to go to one of your shows. I hope you find peace and we know you are in a better place now no longer suffering. We miss and love you so much. Rest in peace, we love and miss you dearly. Listen to your music...I miss you so much. Rest in Peace, Tim! El mejor DJ del mundo te eh considerado, y siempre te consideraré, te vamos a extrañar Avicii, hasta donde quiera que estes.. It is through songs like Levels for example that I got into listening to EDM. I remember first listening to levels in 2010 before it had even been released as a single through Youtube on repeat, I was lucky to see not once but twice in my own short lifetime. Your music has forever changed my life for the better. Goodbye Tim you will be forever missed. I miss you so much Tim. It doesn’t get any easier with time but I just learn to with it. Thank you for sharing your beautiful soul with everyone. 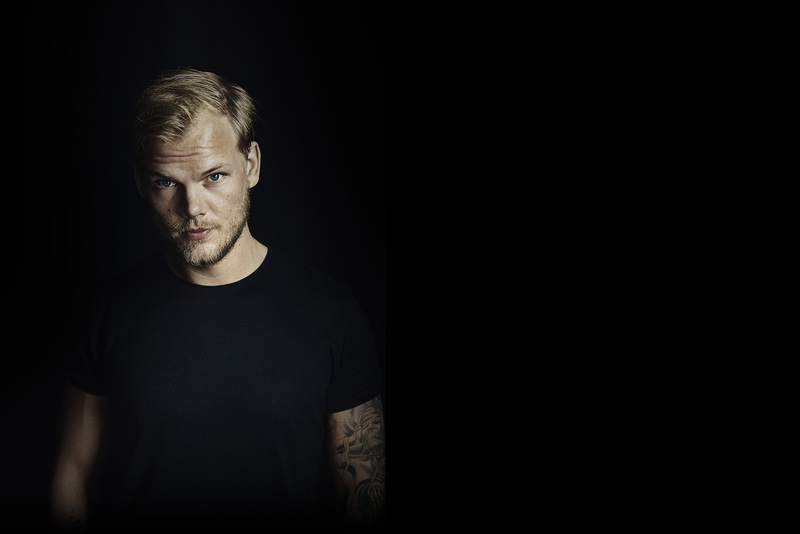 Your time may have been limited but Avicii/Tim won’t ever be forgotten. I never knew about it, only recently at the end of 2018 heard the song level... I liked it very much. Revised, and that's when today went to Wikipedia and saw that he was gone, very upset about it and it was as it is not very knowing it. But I think this author did a lot of decent sounds... He's famous. Miss you avicii. Really love your songs bro. I dont know who you are, but i truly love how you throw your feelings and emotions into beautiful art. We appreciate art. You were an artist and will be dearly missed. My love for Avicii continues on strong to this day, I have never felt such a level of love for music other than Tim's music. I fall in love with his magnificent pieces during the times that are hardest. He brings my spirits up when hearing his music, most known for "Wake Me Up", he became a worldwide known music producer, inspiring multiple artists that are well known to this day, paying their respects while surrounded by brothers and sisters alike. To Tim Bergling, to Avicii, Be reborn. He was an inspiration to all people everywhere and shared love wherever he went. May he always be remembered for his kind and tender personality and for all the people he inspired in the world. i’ve been listening to you for years and you helped me get through some of the rough times in my life and i wanna thank you for that. watching your documentary helped open my eyes to what you went through and i wish there was more us fans could have done. i hope you find peace and what your looking for, miss you. Thank you Tim, R.I.P. and you are the best electronic music producers out there, its a shame you left. Your spirit is one that touches people’s life’s even now. The world is sometimes too much and your music, your impact on things, knowing the loyalty your family and friends have for you, these are sometimes the wave-breaks that allows one to stand back up again, to stop the overthinking of everything, to slow the spiral. I hope you can feel the love, respect, great-fullness of all the people you have impacted. I hope you have found peace Tim. Got me hooked since "True". Tim is a man ahead of his time. you were wonderful. you know that? you played a part in so many pivotal memories in my life. my first kiss? your song, wake me up was playing in the background. my wedding? i had that same song blast from the speakers. so many people miss you. come back to us.